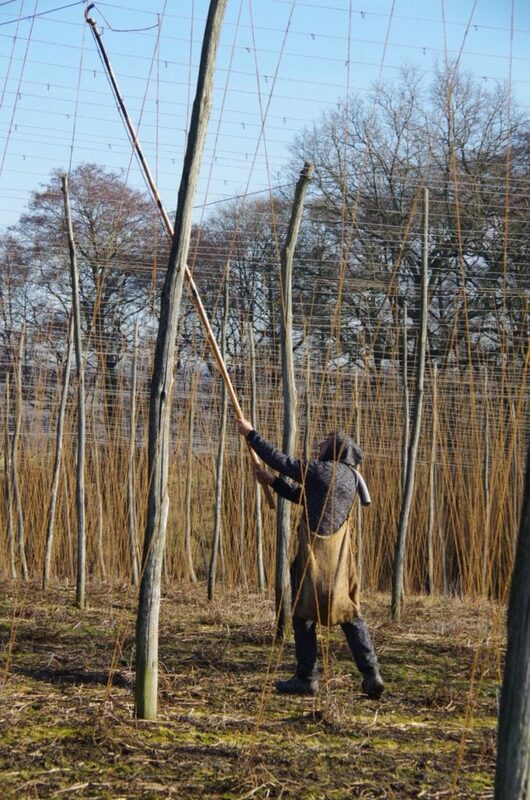 Hop stringing has begun in the hop gardens which means the start of a new beer year for hop growers. 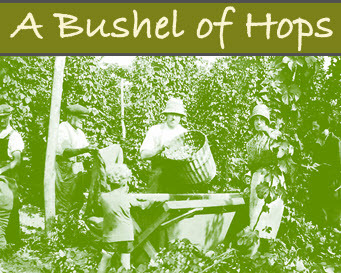 The season starts with hop stringing and ends at hop picking when the crop is safely gathered and dried. 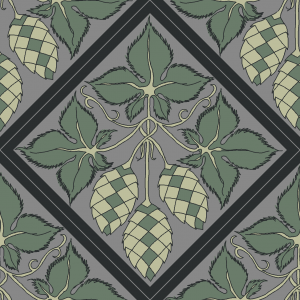 is determined by tradition and how the hop gardens were originally planted. 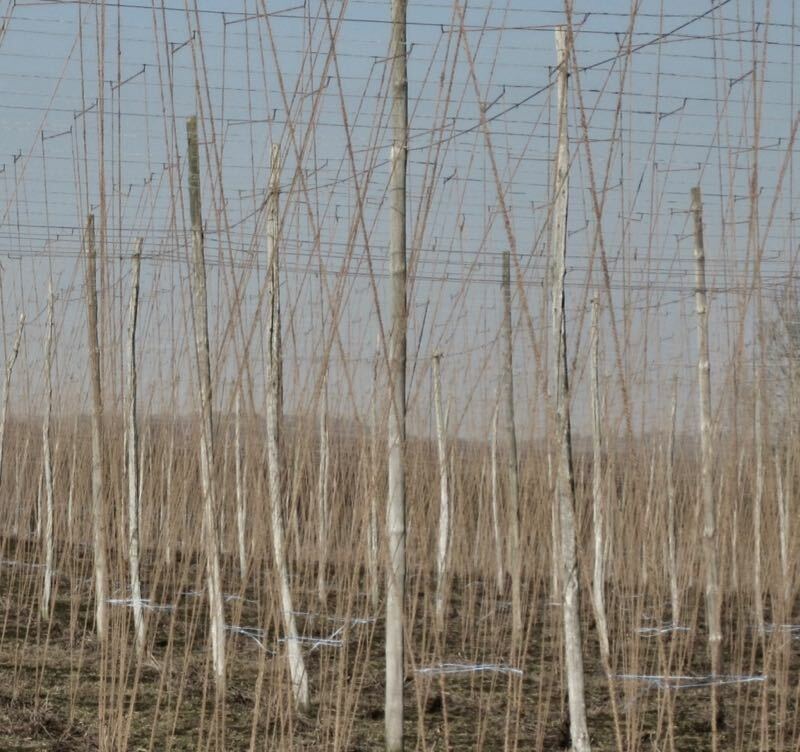 For Umbrella Work each hop plant is 6’6” apart in the row, with each row also spaced the same 6’ 6” apart. Oddly that’s 2 metres but the 6’6” measurements were used long before England even thought about going metric. 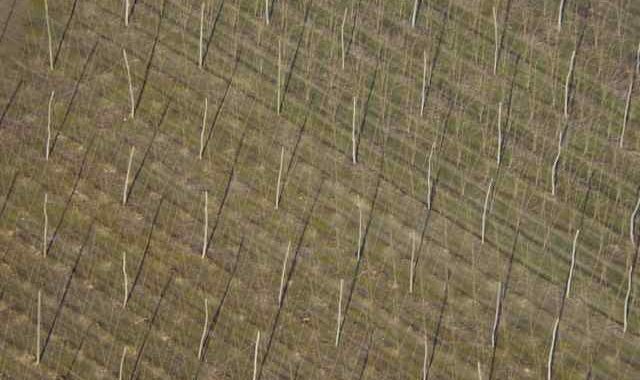 With Worcester work the hops hills are at 3’ spacing and this hop stringing method does not need banding in. 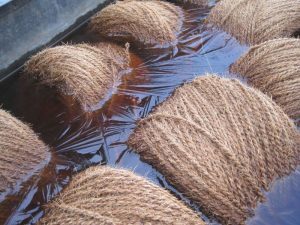 Because coir stretches slightly when damp, the balls of string are soaked overnight before being used. 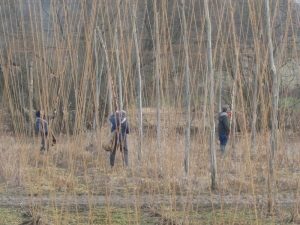 If the coir string was put on dry it would stretch when it rained, especially as the bines become heavier as they mature. That is just a practical point. 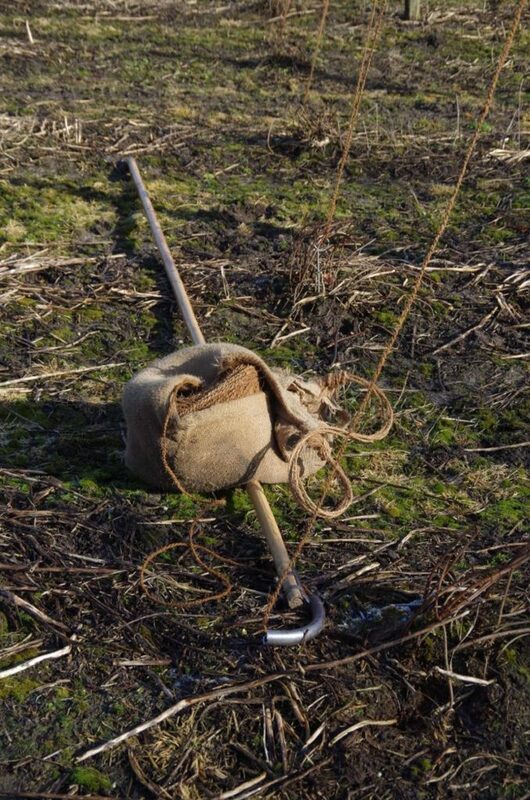 Equipment required is minimal – a long bamboo cane called a goad (stringing monkey to some) and a bag to hold a ball of string with a wide strap to go over one shoulder. The strap can be padded across the shoulder for comfort. 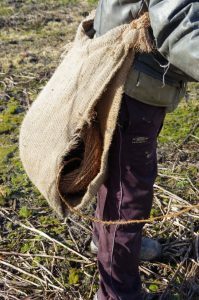 These bags are generally made using a hessian sack adapted accordingly as to what each stringer finds most comfortable. The string is tensioned as the string runs through the hands so gloves are also required. Each stringer has a ‘cant’ or section to string. It is normally the men that have traditionally done this job. 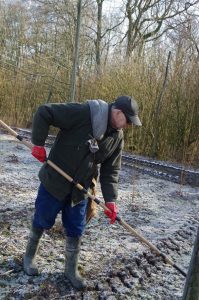 The stringer will first walk over the hops hills in his cant (or allocated area) first, pulling up any screw pegs which are bent over and replacing any that are missing. Once all the screw pegs are checked he is ready to start. The string is threaded through the end of the goad and a simple loop tied in the end of the string to attach onto on the first hook on the wire work. String is tied off at the end of each cant before the next area is started. If a ball of string runs out the end is simply tied onto the start of the new ball and stringing continues as normal. We have had some beautiful warm sunny days recently I wonder if this old folk lore will prove to be true?